"Libido" womenswear brand wish you a happy Chinese New Year, the Year of the Rat! Xianglong welcomes the Spring Festival, Yu Rabbit old age! " Libido " womenswear brand wish you a happy Chinese New Year, the Year of the Rat! I wish the new and old customers good luck New Year, open wealth to the business boom day! Guangzhou Abby Clothing Co., Ltd, is a collection development and design, production, marketing as one of the apparel business! 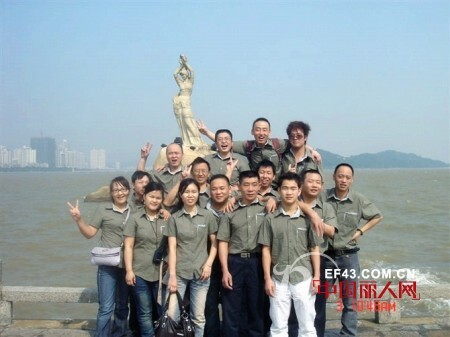 Founded in 2002, located in China's reform and opening up the southern gate - Guangzhou Huacheng. Since its inception, the company has been adhering to the scientific concept of "integrity and pragmatic, quality-oriented, forge ahead and striving for a win-win", advancing with the times, pioneering and innovative to provide customers with excellent products, and can withstand the test of the market ! Talents as the basis, management as the leading, learning and learning for the line, adjustment and improvement as a means of service and innovation for the purpose. With the spirit of enterprising spirit of Abby people, after several years of hard work and accumulation, we have optimized the advanced production facilities and utilized the excellent production technology to insist perfection and excellence on every detail. Create a domestic first-class garment enterprises! Build the domestic first-class clothing brand ! Dream Dance Shoes carry more than 2000 styles of Ladies Dance Shoes. From our competitive range of Latin shoes to our glamorous Crystal Collection, we have an extensive catalogue. Our shoes are all available on a variety of different heel heights and in a range of different fittings too, so we`re sure you`ll find your dream dance shoes within these subcategories. If you want something a little bit more unique, then let us know!